30,000 LEDs transform speeding trains into electric light paintings #lightpainting « Adafruit Industries – Makers, hackers, artists, designers and engineers! 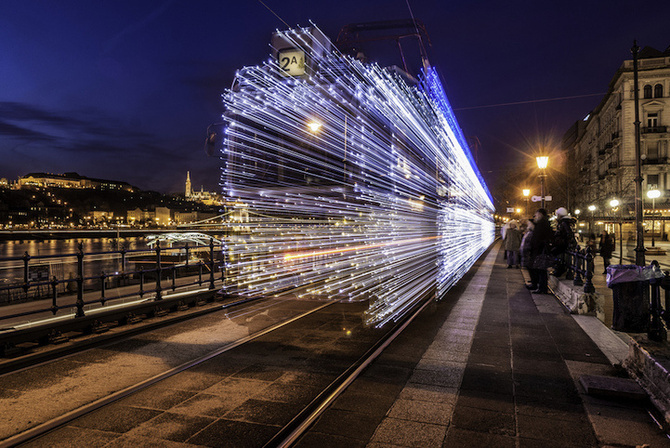 The folks over at the creators project have posted about these beautiful light paintings made with over 30,000 LEDs attached to a train. 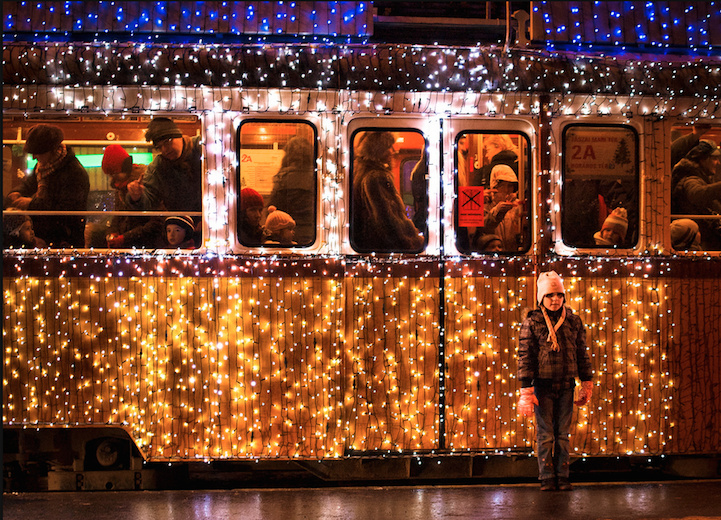 When it comes to holiday cheer, Hungarian public transportation doesn’t mess around. 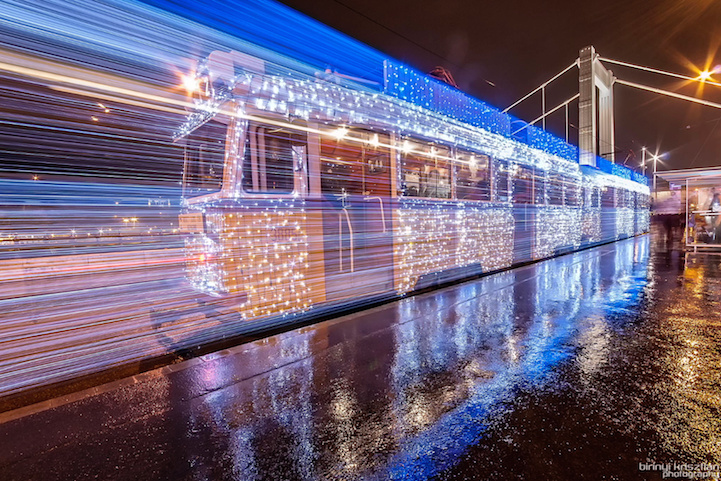 In celebration of the Christmas spirit, ever since 2009, the Budapest Transport Company (BKV) has decorated the city’s trams with over 30,000 twinkling LED lights for the duration of the holiday season. That’s right; for no extra cost, Winter passengers are treated to a unique spectacle of light, one that gets even better when viewed via the long-exposure photograph. Budapest, a city that already tops many a ‘Most Beautiful/Best European Cities to Visit’ list, manages to make even the seemingly bland utility that is public transportation into a means of disseminating beauty.